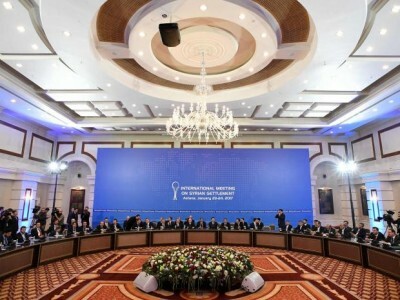 The political settlement of the Syrian crisis in the wake of the meetings in Astana in mid-February. The agenda included such issues as counter-terrorism, the transitional period, the preparation to the general election and the draft constitution of 2017. 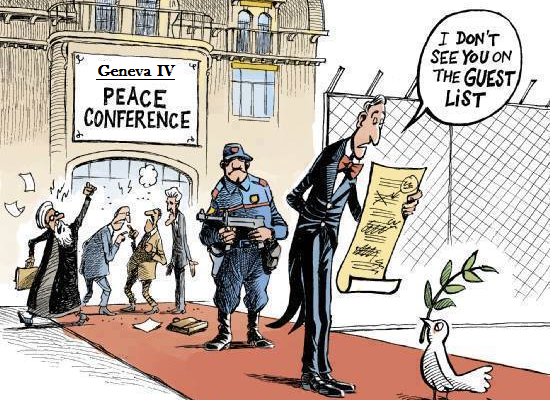 The latest round of failed negotiations in Geneva wrapped up on March 5. Several “real” opposition groups involved in Astana were not present. The Saudi backed “opposition” namely the High Negotiations Committee (HNC) group demanded “that [Syrian] President Bashar Assad should resign before the beginning of the talks”. The Russian envoy pointed that the opposition hasn’t yet fully distanced itself from terror groups like Islamic State (IS, formerly ISIS/ISIL) and Jabhat al-Nusra who were not part of talks. “We expect this [separation] to happen soon,” the member of the Russian delegation said, who was present throughout the entire ten-day talks in Geneva as an observer. The Syrian draft constitution proposed by the Russian side does not cease to be an object of popular interest on the internet. From the front pages of the Western and Arab newspapers this question has dived into a heated discussion on the social media, forums and blogs. A month after the draft’s publication Inside Syria Media Center analyzes how the project was received by the Syrian experts and a wider audience. The first observation is that the opinions are divided. While some of the political powers supported the document or at least welcomed its discussion, a special position on the political future of Syria was taken by the Kurds. Most of them stand for their own project, which they believe to be the only true solution. However, a number of Kurdish politicians consider the Syrian draft constitution a positive step. Other politicians and experts have criticized the very idea of the draft, having seen the Russian project not as a proposal but as a condition or a requirement. For example, a member of the Syrian parliament and a member of the government delegation at the Geneva talks Prof. Muhammad Kheir al-Akkam emphasized that the project “erases Arab identity and destroys Arab culture and society”. The Head of the Syrian Centre for Democracy & Human Rights Studies Aktham Al-Naisse pointed out a number of legal errors in the draft. “The document mixes up the competences of executive and judicial powers. It also does not distinguish between the powers of the People’s Assembly and the Territories Assembly,” – said al-Naisse. Syrian journalist, Afra’a Dagher (right), stressed that a constitution proposed by a foreign country could not be accepted. “Syria is a sovereign country. It is not acceptable to have a constitution which was written by another country, even if this country is our ally. Syrians and only Syrians are qualified to make a decision about their constitution,” – said Dagher in an interview for The Duran. A livid debate about the possibility of changing the Sharia law was waged on Reddit, where the government loyalists clashed with the opposition supporters. Meanwhile some representatives of the Syrian opposition began to use the UN resolution as a tool of sabotaging any attempt to get the ball rolling. The Syrian Party of Solidarity said in an official statement that the discussion of the constitution could only begin after a successful political transition. The same idea was expressed by the representative of the Free Syrian Army Fares Al- Bayoush. Some Syrian historians, journalists, political scientists and experts defended the project. An accomplished historian and writer specialized in pre-Baath Syria, Sami Moubayed, supported the idea of decentralization, limitation of President’s power and the concept of empowering ethnic and religious minorities. According to Moubayed, “courage and leadership” is needed to say yes even to half of the proposed constitutional changes. Such statements indicate that the draft constitution is an important step towards the right direction. Other experts, such as the director of the Syrian Center for Political and Strategic Studies Radwan Ziadeh, reserved judgement. According to Prof. Ziadeh, the Constitution of 1950, which was very progressive for its time, especially in the domain of human rights, remains the best option for Syria. A Turk Press author Nashat Shawamreh has cautiously mentioned that some provisions of the draft could drive a wedge between Syria’s ethnoreligious groups. The analysis indicates that the project has both weak and strong points despite some of its provisions being quite lacking. Anyway, publishing the draft came as a well calculated political move to prepare the ground for negotiations in Geneva (to find common ground) and to create a discussion around the process of political settlement of the Syrian crisis. In any case, for the development of Syria’s new constitution we need a compromise between different ethnic and religious groups, which have long been unable to agree on a number of contentious issues. Of course, a constitutional commission specially organized for this purpose will take note of all the points of view in its future and it’s every Syrian’s duty to help it in this matter.